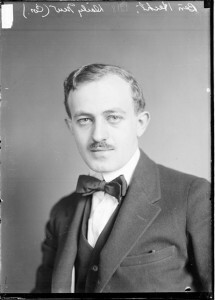 In his 633-page autobiography, A Child of the Century, writer Ben Hecht mentioned the column “1001 Afternoons in Chicago” twice. One mention wasn’t even about the column. It was about the design of the collected edition. The most beautiful-looking book I have ever seen was my own 1001 Afternoons in Chicago, designed and illustrated by (Herman) Rosse. True, it contained some hundred and five typographical errors, including the printing of whole paragraphs upside down, but it was nonetheless a book of wonders to behold. The other mention was in the first line of a five-sentence list of some things he did in the early 1920s. This tells us three things about Ben Hecht. He thought so much of himself he wrote a 633-page autobiography. He thought so little about “1001 Afternoons in Chicago” he only mentioned it twice. But Lord, that man could write. 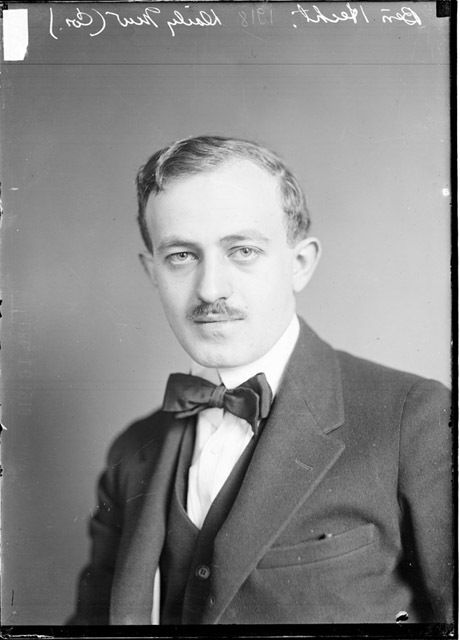 You know Ben Hecht’s writing if you’ve ever seen Underworld, Scarface, Gone With the Wind, Some Like It Hot, The Front Page, Gunga Din, Wuthering Heights, A Farewell to Arms, Mutiny on the Bounty, His Girl Friday, Notorious and have I listed enough classic movies to prove he worked on a lot of damn screenplays? If I haven’t convinced you, maybe his IMDB listing will. It might actually take 633 pages to describe Ben. He became a circus acrobat at 14 and a newspaper reporter at 16, covering Chicago crime and later post-WWI Germany. He wrote 16 books under his own name, more ghost-writing memoirs for people like Marilyn Monroe. He won the first best writing Oscar at the first Academy Awards. He would be nominated for screenwriting five more times and win once more. He died in 1964 at 70 while writing what would have been the first straightforward adaptation of Casino Royale. He lived an amazing life, but always considered his time in Chicago an amazing part of it. Yeah, he only gave “1001 Afternoons in Chicago” two mentions, but here’s how he followed the one about the column and cloisonné floor lamps. This was 1920-1922, among the three most favorite years of my life.